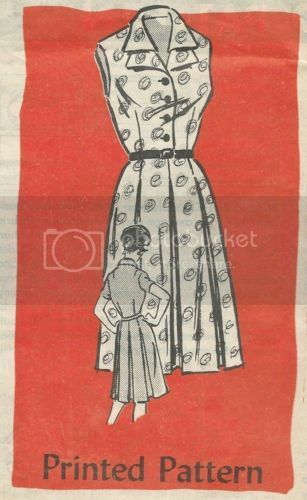 I'd forgotten that I have this (maybe 1960s) Butterick pattern in the stash. There are 3 for sale on Etsy at the moment so it's not that rare. I'm strongly inclined to use the bodice details from Butterick 9796 and merge them with the AA4571 (eliminating the centre front pleat on the skirt). 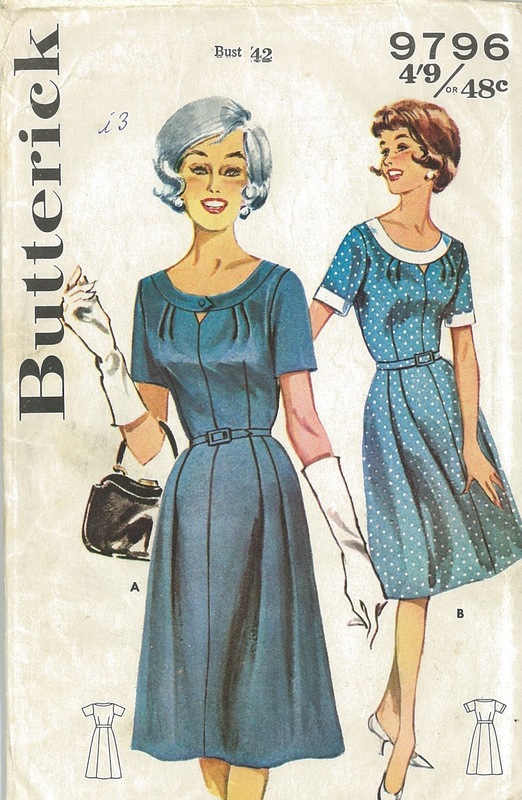 As an unrelated side note, every time I look at this 1960s pattern cover I think the woman on the left looks like Sarah Jessica Parker.